Make your schedule for visits or that of your agents available online. Allow potential tenants to make an online appointment easily and quickly at any time of the day. 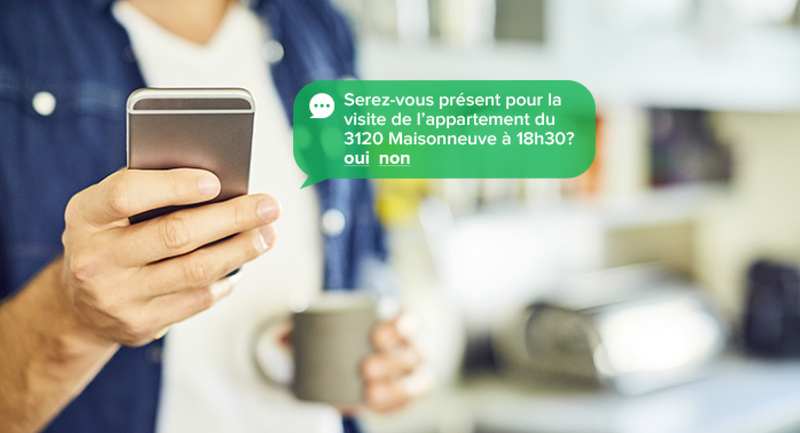 24 hours before the appointment, as well as an hour prior to it, this tool will send a reminder by SMS (text) for the potential tenant to confirm his presence for the appointment. If the tenant answers no, you will automatically be notified by a text message. Thus avoiding unnecessary travel. In addition, the appointment will be automatically removed from your schedule. NOTE: The schedule works with Google Agenda. You can sync your Outlook or other scheduling tool with the Google Agenda.